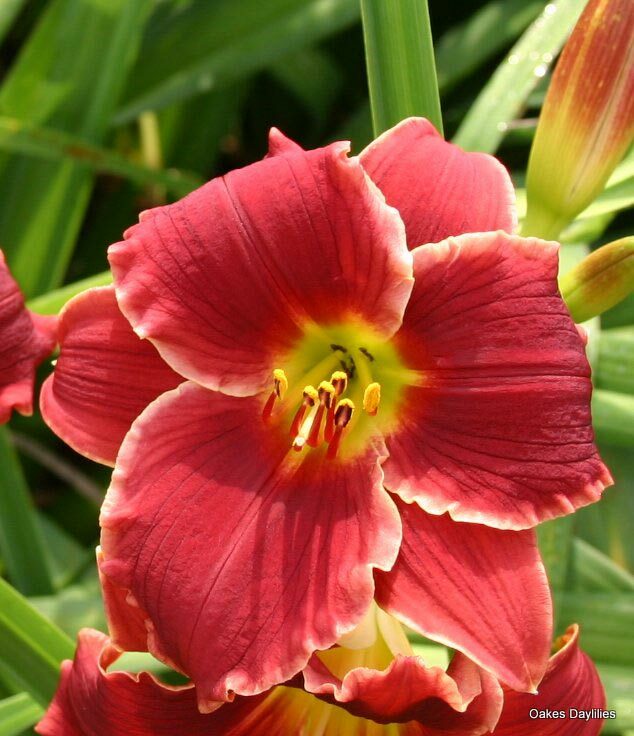 Always a delight, ‘Pocket Change’ is a welcome sight each summer. Small, bright red blooms with white edges cause this daylily to really shine in the garden. Just adorable! 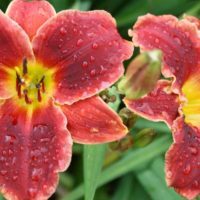 I have a number of these in various parts of my yard in New Hampshire, and they’ve bloomed well every year for the 5 years I’ve had them. 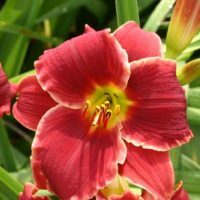 This year they started blooming in the first week of July and I am still getting a few here and there at the end of August. The light edge makes these extra special. I love this one. The white edging really stands out:)! Pocket Change bloomed pretty well the first year. 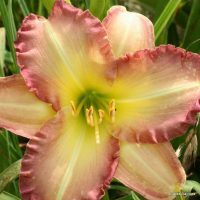 It looked a little ragged and faded in midsummer heat, I have it planted in clay soil with some amendments of good quality potting soil on the south side of my home. 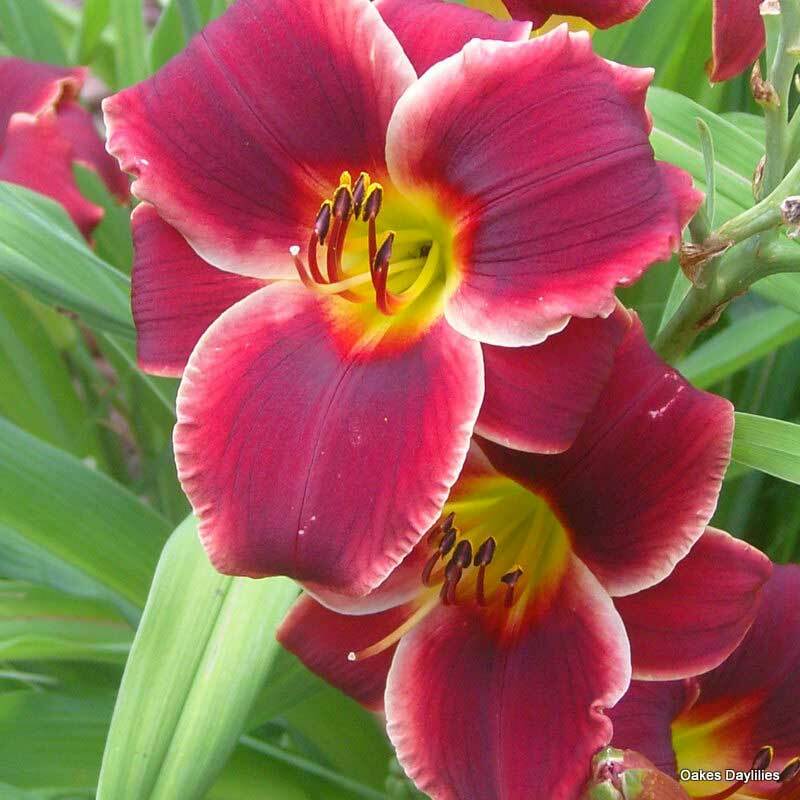 So next year I am going to move it to an area with a partial shade. I still give it a 10 for enduring harsh conditions and its extreme cuteness! Good height for the front of my landscaping beds too. 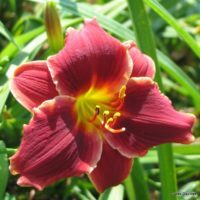 Bought this daylily on a whim, and what a great choice! Many blooms! 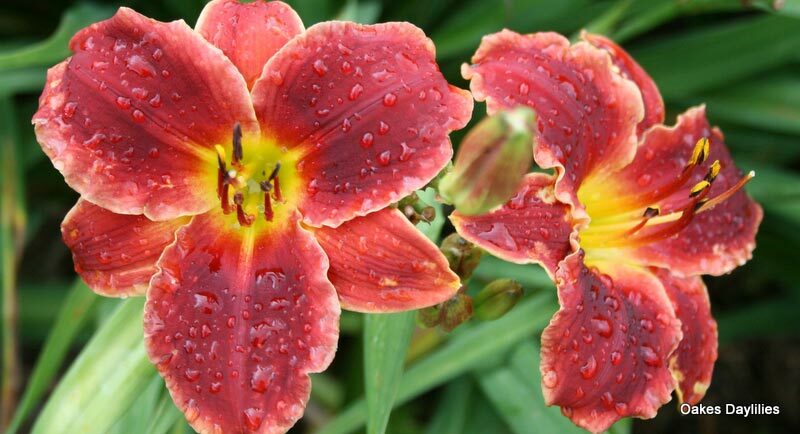 A beautiful little daylily. Definitely one of my favorites! This little beauty stops me in my tracks every time I see it! 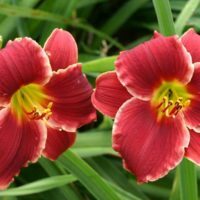 Of my over 150 daylilies, this is in my top 5. 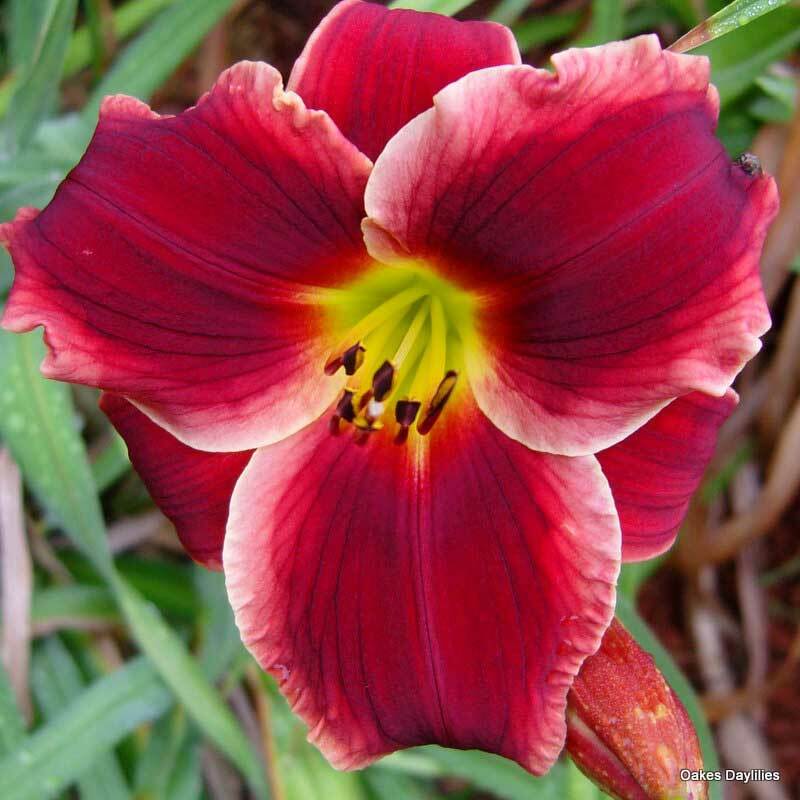 The edgings on mine are a stark contrast to the deep brick red blooms. 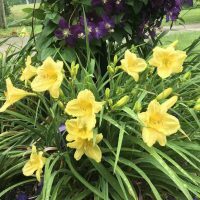 This is a fabulous addition to any garden. Very pretty! 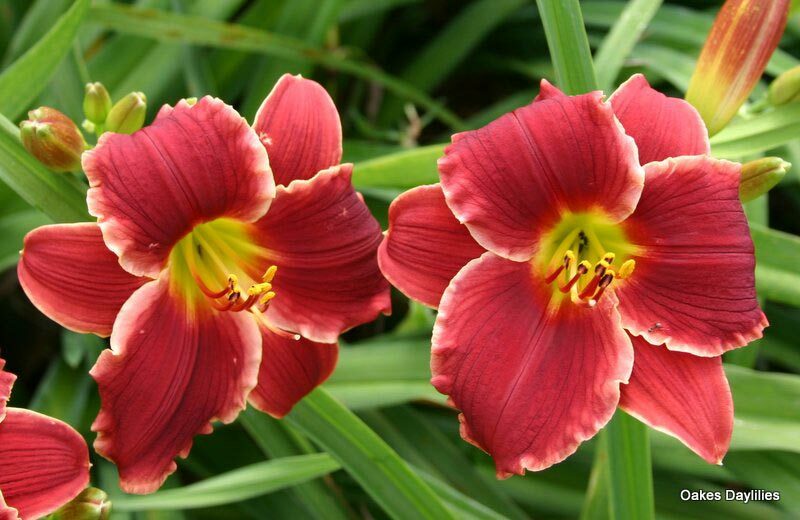 Blooms appear more brick red with a less distinct edging than in the picture. 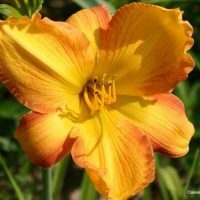 Still, a lovely daylily! What a pretty little thing! And plenty of blooms the first year in. This is a beautiful plant with 5 scapes all blooming beautifully first season. 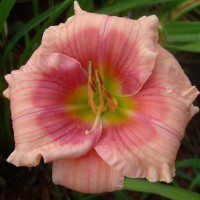 Small, but packs a punch.This would be gorgeous in pots. Not quite as rosy a red as it appears in picture, though. It is a little more brick red here.